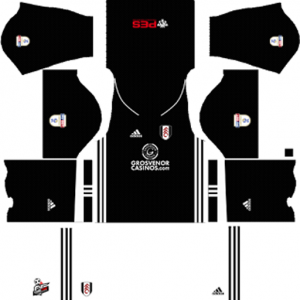 How To Download Fulham Kits for DLS: Are you still searching for Dream League Soccer Fulham kits and logo URL? Now the good news is, fans of the football game Dream League Soccer can now download the new released DLS 512×512 Kits and Logo URL for your Fulham Team and enjoy the game. 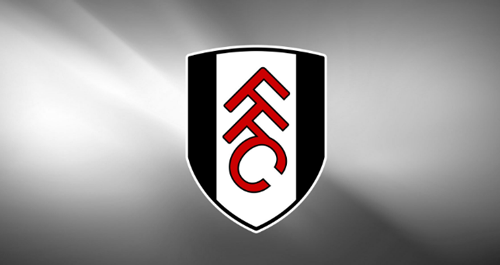 Fulham is a professional association football club based in Fulham, Greater London, England. The nick names of this football club are The Cottagers, The Whites, The Black and White army. This football club plays in the Championship, which is the second tier of English football, having been relegated from the Premier League in 2013–14 after 13 consecutive seasons in the top flight. This football club was founded in 1879. They are the oldest-established football team from London to have played in the Premier League. The club has spent 25 seasons in English football’s top division, the majority of these in two spells during the 1960s and 2000s. This club have never won a major honour, although they have reached two major finals: in 1975, as a Second Division team, they contested the FA Cup Final for the only time in their history, losing 2–0 to West Ham United, and in 2010 they reached the final of the UEFA Europa League, which they contested with Atlético Madrid in Hamburg, losing 2–1 after extra time. 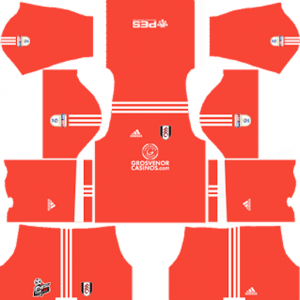 If you’re a big fan of DLS Fulham Team, these kits are for you. 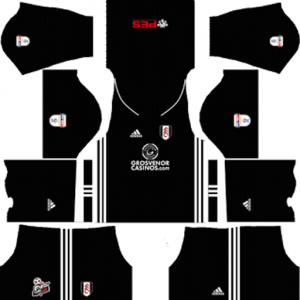 DownloadFulham Kits and logo for your team in Dream League Soccer by using the URLs provided below. 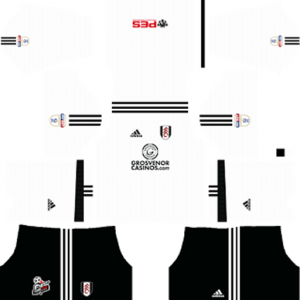 To download Fulham kits and logo for your Dream League Soccer team, just copy the URL above the image, go to My Club > Customise Team > Edit Kit > Download and paste the URL here. If you have any request, feel free to leave them in the comment section.